I don’t think Daves theory is totally discarded yet , but as Rob points out , it is not very attractive given current assessment of the situation . The final pov on the PIE question in all of this, is again from where R1a M417 and Rb-M269+ emerges from and they were present to which degree throughout Eurasia chronologically . I know that in few months a massive advancement to that question will happen . But at the end it is something, that cant be changed is that, we have no hard data to suggest which language was spoken in S Russia in those pre-historical periods , not even around 2nd millennium bc by any means , Scythian related related groups are the first attestations there . Anything is still possible genetics wise , please stay calm as possible 😉 . I’ve been doing a bit of reality checking on what I wrote against some of the archaeological literature. I found a paper called „The Social Structure of the Neolithic Population in the Pontic Steppe” by Nadezhda Kotova. This is an analysis of some graveyard sites in the Don and Dnieper valley dating from around 5,000 BC. The picture it paints is of a society that has only minimally adopted aspects of farming technology; mainly cattle breeding but is still mainly dependent on wild resources for its sustenance. Although the “hunter gatherer” and “farmer” or “pastoralist” descriptions are useful categories for thinking about human societies, they can also be deceptive and over-simplifying. At this stage the society described is not really a hunter gatherer one or a pastoralist one. The writer of the paper describes a social system based around male lineage clans discernable in their burial practices. One would think this was likely a local hunter gatherer descended society in the process of transition rather than a highly expansionary one at this stage. 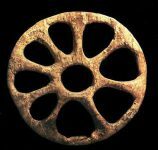 It raises the question as to what were the cultural elements and innovations that enabled the nascent Steppe societies to expand and when did this happen. It raises the question as to what were the cultural elements and innovations that enabled the nascent Steppe societies to expand and when did this happen. Cultural appropriation from the farmers that they were getting their brides from? Cultural appropriation from the farmers that they were getting their brides from? Well, maybe. According to David Anthony, the initial spread of the farmer technologies of cattle, pottery and grain into the Pontic Steppe came from the Cucuteni-Tripolye culture of South Eastern Europe, not from the Caucasus. I need to read more! Well, maybe. According to David Anthony, the initial spread of the farmer technologies of cattle, pottery and grain into the Pontic Steppe came from the Cucuteni-Tripolye culture of South Eastern Europe, not from the Caucasus. Yamnaya does show that type of western ancestry. It doesn’t usually show up in ADMIXTURE, but it does in models based on formal stats, and even in my nMonte tests. Some of the brides, and a lot of the innovations, could have come from CT. 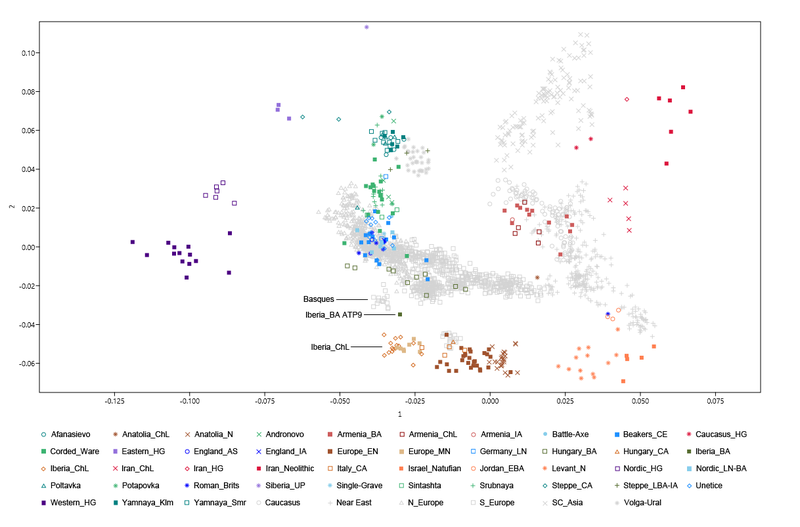 But regarding this „West Asian” mtDNA, we just got a new paper that looked at 12 samples from Ukraine Bronze Age, spanning from pre-Yamnaya, Yamnaya and post-Yamnaya periods. And they’re all U, U5, U5a and a couple of C4. And not long ago we got mtDNA from the Botai culture (who were basically hunter-gatherers, from Kazakhstan) and their results were all „West Asian” IIRC. Could be just luck, but that’s what we have right now. It’s likely that some of the mtDNA lineages that you’re counting as EHG actually arrived on the steppe from the North Caucasus with CHG-rich women. You’re largely focusing on the deep Holocene or older affinities of these haplogroups, but Yamnaya only formed ~3,500 BC. That’s a problem and your mistake. Thus far, there is absolutely no evidence of any male migration from the Caucasus/Near East onto the steppe at that time. All we have are clues that women from the North Caucasus were incorporated into steppe societies. These clues come from mtDNA, isotopes and archeology. So unless you can actually come up with evidence that the Caucasus brides theory is false, or at least that it doesn’t sufficiently explain the formation of Yamnaya, that’s the best theory we have, and it actually makes sense on several levels. But the present evidence can fit perfectly well with plenty of „Caucasian husbands” as well as „Caucasian wives”. No it can’t. Kurgan lines from across space and time during the Bronze Age look fully European: R1a, R1b and I2a2. It’s the mtDNA that shows southern admixture. The simple math you want is misleading for the reason I outline above. At best you’re looking at a few Caucasian husbands here and there. As far as I’m aware though, no one has actually found them yet. But they have found the Caucasian wives with isotopic data. And sure, some of that R1a, R1b and even I2a2 in the Kurgans could in theory be from the Caucasus, just like some of the U5 and U4 might be from the Caucasus. If so, however, how did only European-specific Y-HGs make it onto the steppe at that time? Where’s the J2 for instance? Wouldn’t you expect at least a couple J2, maybe G, or some other clearly southern Y-HG? Why is the southern admixture clearly evident only in the mtDNA? Y-DNA founder effects don’t really explain too well why only Eastern European-specific Y-HGs migrated from the Caucasus onto the steppes. We are going to need more ancient DNA before we know exactly what happened on the steppe. So what? Female exogamy from farmer groups to steppe herders is a legitimate hypothesis and a very good one until then. We have no Caucasus-specific Y-HGs on the Bronze Age steppe, but fresh Caucasus-specific mtDNA, and examples of exactly such female exogamy at other sites where steppe-derived people settled. So I’m not sure why you’re about to pop a testicle by arguing against this legitimate and common sense hypothesis? Seems like there’s something hiding under your objectivity, most likely the preference for another outcome. You’re wrong though. It’s not bad reasoning. The dribs and drabs of data we have from the steppe generally fit with the expected behavior of steppe people. So the female exogamy hypothesis has a very good chance of being confirmed, like it was in the Lach Valley in Bavaria with the steppe-derived Bronze Age folks there. I’ve got a spreadsheet here with Catacomb and Yamnaya mtDNA. Davidski, thanks for the graph. I’m curious about the 4 mtDNA H6 Catacomb Culture in Ukraine. Is that the full sequence? That is a lot of mtDNA H6 in ancient Ukraine! Yamnaya & Poltavka & Srubnaya Cultures in Russia has 3 H6’s. Siberia has 2 H6, Okunev & Andronovo Cultures…….looking forward to the Bell Beaker DNA results and wonder if a mtDNA H6 will show up in them. H6 is associated with Corded Ware but mixed Beaker/CW marriages are a possibility. At the same time, in contrast to what many still claim in the comments here and elsewhere, it’s extremely unlikely now that Y-chromosome haplogroups R1a and R1b were introduced onto the steppe by these farmers (see here and here). Clearly, they appear to be paternal markers native to Eastern Europe, in so far as they’ve been present in the region since at least the Mesolithic. It’s rather improbable that we can say the same about the R1a and R1b in the Near East and South Asia, which of course means that we’re edging closer and closer to solving the Indo-European Urheimat question, because R1a-M417 and R1b-M269 are by far the best candidates for the main Y-haplogroups of the Proto-Indo-Europeans (see here). Ultimately both R1a and R1b arrived there from Central Asia during Mesolithic, they are not ‚native’ to Eastern Europe. You probably mean Siberia not Central Asia. In any case, Mesolithic forager = indigenous in my book. Also, the Proto-Indo-Europeans were not pure „Siberian” foragers when they expanded out of Eastern Europe, they were a specific and complex mixture as per my post above. If the steppe or Kurgan PIE hypothesis is correct, then we’d expect this to have happened during the Bronze Age rather than, say, the Medieval Period with the migrations into Iberia of Northern Europeans likely rich in Yamnaya-related admixture like the Visigoths. That’s because Indo-European languages are attested in Iberia as early as the Iron Age. And indeed, the earliest Iberian sample in my dataset to show Yamnaya-related ancestry is Iberia_BA ATP9 from Gunther et al. 2015, dated to 3,700–3,568 C14 cal yBP or the Middle Bronze Age. This has not been reported before, but I’m certain that my finding will be confirmed sooner or later in scientific literature. Many of you might remember that I’ve already looked at this issue back in 2015 (see here). However, that analysis was based on a very limited sequence of ATP9. So I’m going to do it all over again with a higher quality sequence, and eventually delete the old post. Let’s start with a basic Principal Component Analysis (PCA) featuring ATP9 alongside a wide range of modern-day and ancient samples from West Eurasia and South Central Asia. Surprisingly, based on those D-stats ATP9 doesn’t appear to share more drift with Yamnaya Samara relative to Iberia_ChL (Z<3). But I suspect this might be due to inflated hunter-gatherer ancestry in Iberia_ChL, so let’s try something a little different. OK, that’s basically in line with the PCA above, and I can cement this finding with the qpAdm algorithm. Note the nice chunk of Early Bronze Age steppe (Steppe_EBA) ancestry in ATP9. Do the Lengyel matches in Yamnaya-rich populations in Europe suggest a Middle PIE homeland in the Late Tripolye culture? You would need Late Tripolye to be rich in R1a, R1b and steppe admixture, which I think is very unlikely. I’d say Lengyel LN just represents the type of really late Neolithic farmer that had a wide range just before the homogenization of Europe via all sorts of population movements during the Bronze Age. This is a very unreasonable assumption. There is no reasonable model in which Basque receive more distinctively non-Neolithic genetics from Indo-Europeans. A far more plausible hypothesis is that there is more than one linguistic population with origins somewhere in the vicinity of the steppe that have Yamnaya-like ancestry. In the North, those were Indo-Europeans who came to be exemplified in the Corded Ware culture. In the South, there were people with a non-Indo-European language family who were probably ancestral to both the Minoans and in a male dominated migration the Bell Beaker people whose language under the formative substrate influence experienced by the earliest Bell Beaker people gave rise to the Vasconic languages of which Basque is the only surviving representative. The original Bell Beakers probably migrate to their archaeological point of origin in Iberia’s major cities to exploit the tin deposits found there which their superior to local populations metalworking skills and mining knowledge allows them to exploit. These men (or at least those of them who participate in Bell Beaker expansion) marry Iberian women with elevated levels of mtDNA H which is what causes its levels in the gene pool of Western Europe to grow in tandem with Y-DNA R1b. For roughly a thousand years Europe is divided between a Vasconic West known for their archery and cattle and distinctive pottery and metalworking and religious beliefs, and an Indo-European East known for their chariots and cavalry and horses and their distinctive pottery and metalworking and religious beliefs distinct from those of the Vasconic people despite the fact that the two have origins not geographically far from each other on the Steppe. Then, following the climate events that give rise to Bronze Age collapse. Most of the Vasconic, Y-DNA R1b-M269 people of Western Europe who acquired the language and Y-DNA via the Bell Beaker fell to Urnfield/Celtic Indo-European people in the late Bronze Age/early Iron Age and experienced linguistic shift, but the Basque and some neighboring Vasconic people survived into the Roman era without falling to linguistic shift until eventually only the Basque were left. The later shift from Vasconic to Celtic leaves only a modest genetic impact roughly reflected by the percentage of R1a in Western Europe. Wysłany 2017-02-19 by SKRiBHa	• Ten wpis został opublikowany w kategorii DzieJe, GeNe+TyKa, Je"ZyKo+ZNa+WSTWo, KRo+NiKi, Z'+RoD+L"o+SL"oW i oznaczony tagami "Caucasian husbands", "Caucasian wives", "The Social Structure of the Neolithic Population in the Pontic Steppe", a mobile form of pastoralism, Anatolian, archaeology, “farmer”, Balkan farmers, Basque, Bell Beakers, Black Sea Scythians, Bronze Age, C4, Caucasus, Caucasus farmer wives, Caucasus farmers, Celtic, Corded Ware, Cucuteni-Tripolye, Cywilizacja Słowiańska, David Anthony, Dawidski, Dnieper Donets, Eastern Europe, EHG, Eurasian steppe, G, GeNe+TyKa, genetics, Gunther et al. 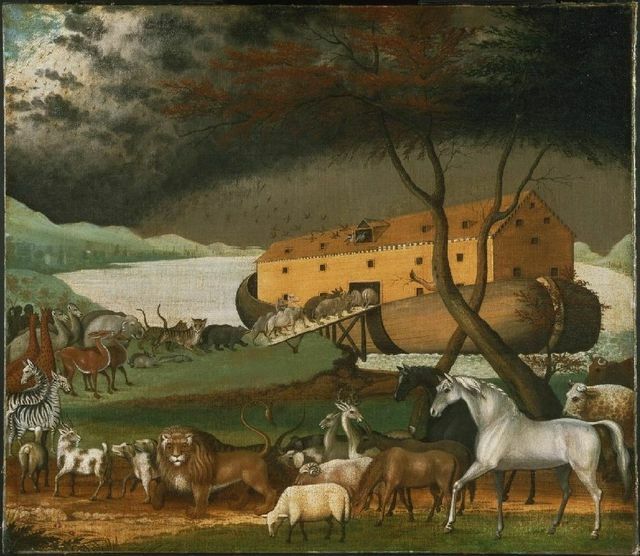 2015, herding domesticated animals, Holocene, http://eurogenes.blogspot.co.uk, hunter gatherer, Indo-European Urheimat, Indo-European Urheimat question, język Pra-Indo-Europejski, język Pra-Słowiański, Khvalyns, Khvalynsk, Kurgan PIE hypothesis, Kutuluk River, Lach Valley in Bavaria, Late Neolithic Lengyel, LBK, Lengyel, mDNA, Mesolithic, mtDNA, N, Nadezhda Kotova, Neolithic, North Caucasus, Okunevo culture, pastoralism, pastoralist, PIE, Poltavka, Pontic, Pontic Steppe, post-Yamnaya, pre-Yamnaya, PS, R1a, R1a-M17, R1a-M417, R1b and I2a2, Rb-M269+, Russia, Samara, Scythians, Siberia, South Eastern Europe, Sredny Stog, Srubnaya, Słowianie, Słowiańszczyzna, Tocharian, Tradycja Pra-Słowiańska, Tradycja Słowiańska, U, U5, U5a, Ukraine Bronze Age, Ural, Urheimat question, Urnfield, Vasconic, Women on the move, Y-DNA, Yamnaya. Dodaj zakładkę do bezpośredniego odnośnika. Z tego wpisu nie dowiadujemy się tego. HgI2 – staroeuropejska jest nadal bandą facetów bez kobiet? Skribho, czy mógłbyś w wolnej chwili napisać jak ty widzisz historię Słowian przed państwowych? Gdzie wg Ciebie byli? Jak to circa wyglądało? Itp. Tak w 5 zdaniach. Skribho, Próbuję sobie ułożyć to wszystko. Zlodowacenie północnopolskie trwało od 115 tys. do 11,7 tys. lat temu. W Europie Wschodniej aż do mórz Czarnego i Kaspijskiego sięgały lodowce. Natomiast dzisiejsze Kazachstan i południowo-zachodnia Syberia były wolne od zlodowacenia. Nasi przodkowie nie mogli wprost – przez stepy nadkaspijskie – przejść dalej, bo po drodze mieli groźną barierę lodowej pustyni (tu można sprawdzić). A co byś dodał do sugestii pochodzenia Słowian z nad Dunaju? Zgadzasz się z nią? Jesteś przekonany? Genetic studies of the distribution of mitochondrial DNA (mtDNA) haplogroups in human populations residing within the Carpathian Mountain range have been scarce. We present an analysis of mtDNA haplogroup composition of the Boykos, Hutsuls, and Lemkos, three population groups of the Carpathian highlands. In our study Hutsuls had the highest frequency of subhaplogroup H1 in central and eastern Europe. Lemkos shared the highest frequency of haplogroup I ever reported and the highest frequency of haplogroup M* in the region. MtDNA haplogroup frequencies in Boykos were different from most modern European populations. 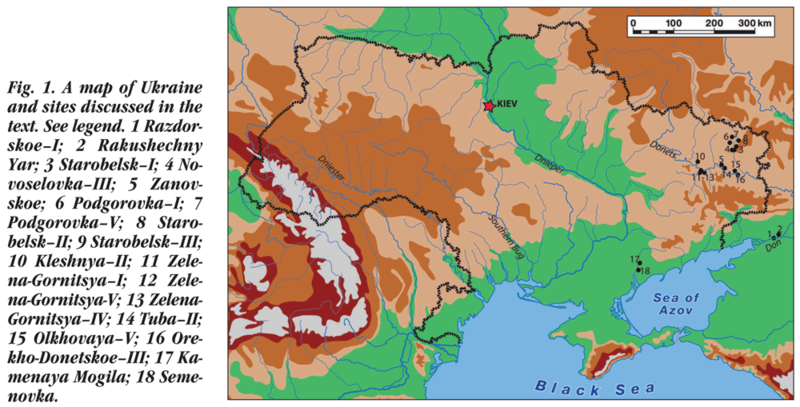 We interpreted these unique mtDNA frequencies to be evidence of diverse and dynamic population histories in the Carpathian highland region. Uprawdopodobnienie historii Słowian wiąże się niestety z gdybaniem. Wersja allo to też nic innego jak ideologiczne gdybanie. Czyli mamy różne propozycje. Nie do udowodnienia póki co. POBOŻNE ŻYCZENIA jak to nazwałeś. A jakie mamy dowody? Mamy kopalne R1a Karelczyka – łowcy mamutów, czyli HG północnowschodniej Europy. I mamy parę tysięcy lat młodsze kopalne R1a w CW w środkowej Europie. Te dwie próbki ze Skandynawii wybrałam, bo są Z645 czyli braterskie dla L664 i ojcowskie dla pozostałych potomków M417. Ale gdzie byli inni Z645? Tego nie wiemy. Widzimy jedynie spekulacje na ten temat na blogach genetycznych. Jak kto spekuluje łatwo sobie wyobrazić. Allo skłaniają się „widzieć” na wschodzie, im dalej tym lepiej, umiarkowani gdzieś w okolicach stepu. Czy jakaś informacja z wiki wskazuje na step? Geograficznie bliskie Yamna były: TRB, LBK, Tripolye-Cucuteni, Sredny-Stog. Może coś jeszcze. Czy któraś z tych kultur pośredniczyła w dzieleniu się genami z CW? Można spekulować. Może koczownicy najeżdżali na osiadłe społeczności, brali co im potrzebne np. kobiety i wracali na step. No nie wiem jak to mogło wyglądać, ale dla samotnych pastuszków na osiołkach te rolniczki musiały być atrakcyjne. Jedno jest pewne. Mtdna jest bardzo podobne w Yamna i CW. To fakt. Skribho, jeszcze powiedz co myślisz o Słowianach nad Atlantykiem. Bo i z takimi twierdzeniami się spotkałam. Czy to od czapy? Czy nie. Bo jeśli porównasz nazwy: Karpowie – Karpetani, Jassowie – Jassetani, Lusitania, Galaecia itp. Jak można wyjaśnić podobieństwo tych nazw? Aha, jeszcze Fenicjanie i Fenowie. Niby tak. Ale jakoś mnie to nie zadowala w pełni. Wenedowie, Wenetowie jedynie kojarzą się z Fenicją. Tam gdzie w OWL pobiegli Wandalowie. A co z Lusitanią? U nas w centrum na Łużycach w starożytności widziano Germanów. Pewnie tych najliczniejszych zwanych Suevami. A w OWL Suevi pobiegli na pn.zachód Iberii. Do Lusitanii. Alanowie, irańskie plemię? też udali się do Iberii. Może trafili do Galaecji, (Halicz?)? Czy to nie dziwne? Może jakieś interesy śr. Europa miała w Iberii? Co tam mogło być? Ale konkretnie co ci nie pasuje? R1b mogła przyjść do Europy różnymi drogami. Tak samo i R1a. Myślałeś o tym? Czy możesz sobie wyobrazić, że jakiś klad R1b dociera z południa np. z Afryki do Hiszpanii a inny, jego kuzyn np. U106 z Yamna stepu przez dolinę Dunaju? Z R1a to trzeba się wstrzymać. Mówiliśmy o tym kiedyś. Nie ma dowodów, ze starsze R1a niż M417 było IE. Chyba, że R1a Tocharów jest tuż znane. I nie należą do M417. W innym przypadku należy dopuszczać indoeuropeizację R1a. Czy PIE to mógł być pidżyn? A jakby wyglądało podłoże językowe, gdyby jakis północny łowca R1a spłodził potomka rolniczej pannie i się ulotnił? Młody wychowany przez rolników miałby podłoże? Zgadza się, tylko że R1b z Villabruna leży po południowej stronie Dolomitów / Alp i jest od tego „stepowego” starsze o jakieś hm… 9000 lat… Pomyśl o lodowcu i lodowej pustyni… Skąd i jak dotarł tam ten R1b? Z tzw. Tocharami, a właściwie z potomkami Afanasiewo (rzekomo potomkowie Yamnaya DNA???) wymienionych potem przez potomków Andronowo R1a Z93, wiadomo niby to co napisałem. To tak nie działa… Ten „młody rolnik” byłby „młodym rolnikiem”, (patrz np. porwane polskie dzieci z Zamojszczyzny wychowane na Niemców),..bo nikt by mu nic odłowczego nie przekazał… Podłoże działa TYLKO W KONTAKCIE Z NAKŁADKĄ JĘZYKOWĄ I MIESZA SIĘ Z NIĄ!!! Nie, chodziło mi o IE. Czy Karelczyk (M420,mtC) nie mógł mówić jakimś praałtajskim? Albo Khvalynsk culture. Są dowody na ich język? To tak nie działa… Ten „młody rolnik” byłby „młodym rolnikiem”. „Młody rolnik” byłby „młodym rolnikiem” bez podkładu językowego łowców, ale jego haplo (załóżmy, że jakiś tam klad R1a) byłoby nowe wśród rolników. Genetycznie kolejne pokolenia wyglądałyby na mieszankę łowców z rolnikami, ale ich język nie byłby zmieszany i nie wykazywałby podkładu. I dzisiaj Skribha mógłby błędnie założyć, że język potomków „młodego rolnika” był taki sam jak język jego męskich przodków. Skribho drogi, co ty tak ciągle z tym podkładem. Ja już nie wiem, jak ci to wyjaśnić. Mi chodziło o twoje założenie, że starsze klady R1a niż M417 mówiły IE. Ja uważam, ze tego nie wiemy. Owszem prawdopodobieństwo jest spore, ale to jest jedynie gdybanie.Korelacja językowa występuje u potomnych M417. Jak jego starsi krewni mówili nie jest udowodnione. Zgadza się? Dlatego też, ewentualny brak R1a nad Dunajem, wcale nie musi oznaczać braku IE. Bo nie wiemy skąd ten język się wziął. Czy ty znasz jakiś język zwany staroeuropejskim? Wiesz jak brzmiał i kto nim się posługiwał? Jaki masz dowód na jego istnienie? Czy oryginalny język I2 albo MtU z paleolitu/mezolitu został odtworzony? Kto udowodnił, że nie był IE? Tylko to jedno „kukułcze jajo” zostało rolnikiem i jego wyrosłe na sałacie potomstwo, w którym wystąpiła mutacja M417. Łowcy (nie M417) zostali łowcami. Mogło tak być? Można stworzyć inną narrację, jeśli ta ci się nie podoba. Np. legenda o Bliźniakach (r1a) wychowanych przez wilczycę (U), pomyśl sobie, ze wilczyca to pseudonim łowczyni zbieraczki z Europy. Ja już nie wiem, jak ci to wyjaśnić. Mi chodziło o twoje założenie, że starsze klady R1a niż M417 mówiły IE. Ja uważam, ze tego nie wiemy. Owszem prawdopodobieństwo jest spore, ale to jest jedynie gdybanie. Korelacja językowa występuje u potomnych M417. Jak jego starsi krewni mówili nie jest udowodnione. Zgadza się? Zgadza się, ale gdzie jest ten podkład „młodych rolników” (lub innych) w tym kreolskim PIE = PS, czyli „młodo rolnym” podkładzie językowym (albo innym, np. „staro-europejsko-zbieracko-myśliwskim”) + „stepowo-leśno-zbieracko-łowiecko+pasterskim” nakładzie językowym..? Poruszasz ciekawy temat, że od jednego osobnika zaczęło się np. rolnictwo nad Wisłą… ale nie był to koleś z J, G, H,.. Podobnie jest z wyjściem WSZYSTKICH Z93 na wschód na Góral, żeby stać się Ariami… Dziwne to i mało prawdopodobne… Skąd kolesie wtedy znali swoje DNA, żeby się tak równo podzielić? A czy inne słowiańskie mają jakiś podkład? Tylko polski nie ma? Jak to jest? A wiesz, ze takie U106, obecnie dominujące u Germanów wzięło się od jednego osobnika? A prawie 60% Polaków i sporo Hindusów pochodzi od 1 osobnika również. Dziwne, masz rację. Jakaś segregacja czy co? Że Z93 nie wzięli do Indii J albo G można przeboleć, ale dlaczego nie wzięli Z280? Z284 też chyba znali swoje DNA, bo się tak równo oddzielili. A poważnie, to chciałam jedynie zwrócić twoją uwagę na fakt, że nie ma dowodu na kontynuację językową R1a od czasu jej powstania do dziś. R1a jest oczywiście Pra-Słowiańskie, czyli Pra-Indo-Europejskie, ale nie można tego samego powiedzieć o R1b, patrz Villabruna, Baskowie, Kamerun itp. Jeśli uważasz, że R1a zostało „zpra-indo-europeizowane”, no to przez kogo? I1 i I2? A co za tym przemawia i gdzie są na to dowody? I tu Cię mam! 🙂 No to powiedz mi gdzie znikło DNA i mtDNA „pierwszych młodych rolników” z Bałkanów, a wcześniej z Anatolii, o tzw. Żyznym Księżycu nie wspominając, patrz myśl Roberta o braku DNA „pierwszych młodych rolników” wśród puli genowej nad Wisłą?!! A na jakiej podstawie tak twierdzisz? Żartuję… Ja nie wiem, jak było,.. ale wiem, że w j. polskim NIE MA NIE-PRA-SŁOWIEŃSKIEGO = NIE-INDO-EUROPEJSKIEGO PODKŁADU JĘZYKOWEGO!!! TO FAKT!!! O to wygląda na mój oficjalny punkt widzenia tych spraw, w przeciwieństwie to poglądów panów Jamroszko, Makuch, Białczyński,.. czyli brak genów, brak zapożyczeń od-irańskich, itd. Lahy nie pochodzą od swoich własnych ani sarmackich, ani scytyjskich wnucząt i to pewno już dobrze zmieszanych po drodze z Lehi, przez Góral, do Lehii… I tu może było tak, że faktycznie irańscy Z93 Sarmaci wyparli ze stepu po-aryjskich Scytów też Z93 zresztą, itd. Podtrzymuje zdanie Roberta, o podziale na matecznik w laso-stepie, na sam step, czy stepo-pustynię, itp. Syn nie może być ojcem swojego dziadka…, patrz Z93 nie może być ojcem dla M-282, czy M-417, itp,.. KTÓREGO, JAK I R1B… NIE MA W INDIACH I NIE TYLKO TAM! A no i przypominam, że wg danych genetycznych ŻADNEJ MIGRACJI LUDNOŚCI Z PŁASKOWYŻU IRAŃSKIEGO NA STEP NIE BYŁO, patrz Dawidski, itd!!! A jak Skribho wygląda podkład u pd Słowian? Jest? Jaki? I co myślisz o paleolitycznej ciągłości, The Paleolithic Continuity Theory? Śmiała hipoteza, Indoeuropejczycy od 10 tysiąclecia pne. Tylko, że wtedy to musieliby być I2. Zwróć jednakże uwagę, że wśród Słowian tej hg nie brakuje. Chciałam się upewnić, bo wcześniej piałeś tylko o j. polskim. To dlaczego u południowców nie ma podkładu? No wiesz, jakiegoś tzw. „staroeuropejskiego” nieIE jak u Germanów (podobno ok. 30%). Czyż nie powinni mieć skoro większość Słowian Pd. to I2? „Jądro ciągle jest jędrnym jądrem” Czy „jądro”, „centrum”, „wnętrze” i „środek” nie pochodzą od tego samego rdzenia? Mylisz podkład (substrat) z nakładką językową (adstrat, superstrat). Musisz się zdecydować, kto był właściwym nosicielem języka tzw. PPIE, czy „staroeuropejczycy” G, H, I1, I2,.. czy Ria, bo R1b Baskowie, Villabruna, Kamerun, to raczej nie, nieprawdaż? Podkład czy nakład – i tak bym tego nie odróżniła. Ale wyjaśnij dlaczego w j. germańskich podobno 30% pochodzi od tzw. „staroeuropejczyków”, nieIE. Za takowych uważa się powszechnie ludność z hgI. Pytanie – ile % nieIE języka wyliczono dla Słowian Pd? Haplogrupy I jest więcej na Bałkanach niż w Norwegii, Szwecji i tym bardziej w Austrii. Więc powinni mieć również jakiś podkład/nakład nieindoeuropejski. Mają? Jak będziesz miał wolny czas i chęć (kiedyśtam) to proszę. Która hipoteza najbardziej cię przekonuje? Mówisz, że żadna. Ale warto je znać. I wiedzieć jakie hipotezy były brane pod uwagę. Niektórzy myślą, ze tylko Anatolia i step wchodzą w rachubę. A to guzik prawda. Jak widać możliwości jest duuużo więcej. Łoł, nie zauważyłam nawet, ze przyznałeś mi rację. Cieszę się.